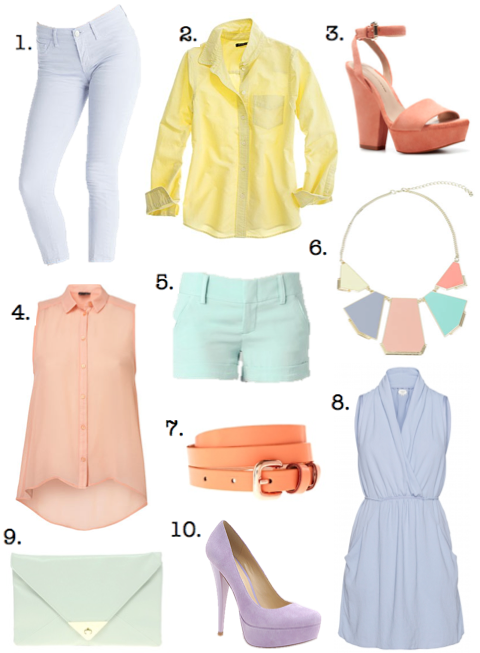 Looking to brighten up your wardrobe? Below is another Not A Model contributor post from Katie. 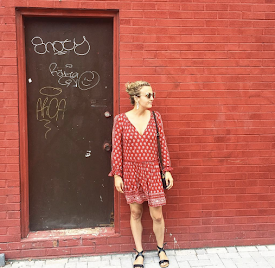 She usually hits us with the best recipe blogs but she also has an affinity for writing some great fashion posts. Enjoy! Neon was a mega trend last year which made a statement that screamed the bolder, the better. Even though its made a lasting impression for another season, their lighter shaded sister is starting to pop up everywhere. Seen on the runways at Tibi, 3.1 Philip Lim, Diane von Furstenberg and Preen, just to name a few, these sweet sorbet hues are sweeping in to steal the spotlight for the warmer months. What's great about pastels is that if you're not usually one to wear colour (and you thought neons took it way too far), these lighter pigments are a subtle way to inject life into your monochromatic wardrobe. Regardless of whether you incorporate pastels into your full on look or just add a splash by way of accessories, these candy coloured shades are sure to keep you looking sweet. These are much better colours than the neon trend! Love it!